Data visualization is often useful to find hidden patterns and trends in data, to visualize and understand the results of analytical models, and to communicate analytics to the public. It is defined as a mapping of data properties to visual properties. Data properties are usually numerical or categorical, like the mean of a variable, the maximum value of a variable, or the number of observations with a certain property. Visual properties are attributes like (x, y) coordinates, colors, sizes, or shapes. Both types of properties can be useful for understanding a dataset. 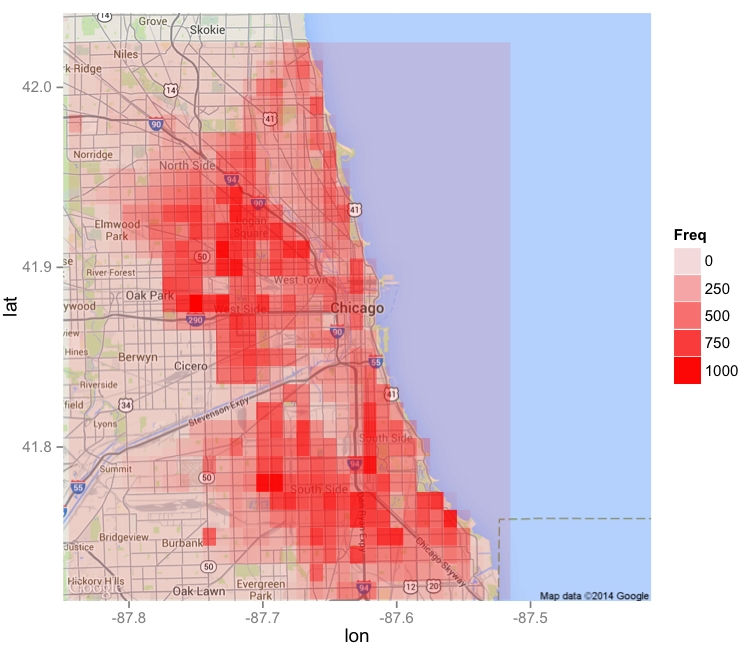 Heat Maps. 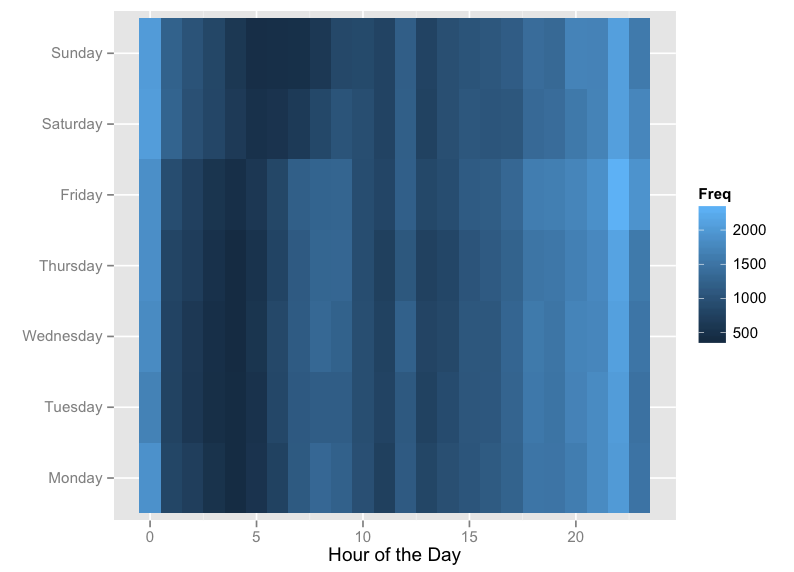 A great way to visualize frequency data on two attributes (like the frequency of crime according to the day of the week and the hour of the day, shown in the heat map below) is by using a heat map. A heat map creates a grid in two dimensions, with one attribute on the x-axis and the other on the y-axis. There is a square in the grid for every possible pair of the two attributes. For example, in the following plot, we have 7*24 = 168 squares in the grid, one for each hour of each day. Then the squares are shaded according to the frequency attribute. 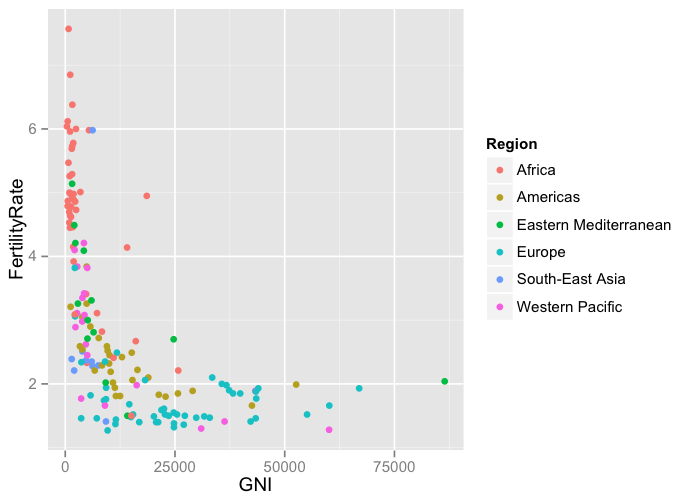 Alternatively, we could draw a heatmap on a geographical map, shown in the figure below. Here the grid attributes are longitude and latitude, and the squares in the grid are shaded according to the amount of crime in that area. Geographical Maps. A common visualization used by organizations like the Centers for Disease Control (CDC) and the World Health Organization (WHO) is a country or world map, with the different states or countries colored according to some attribute, like obesity, high school graduation, or unemployment. The following visualization shows an unemployment map of the United States from 2009, during the peak of the Great Recession. 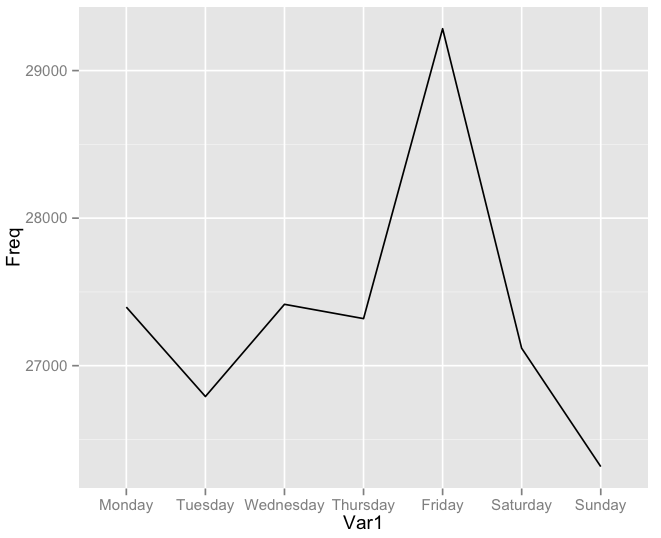 Great visualizations can be created in R using the "ggplot2" package. United States map. To create a map of the United States with the states colored according to some attribute, we can use the following commands. 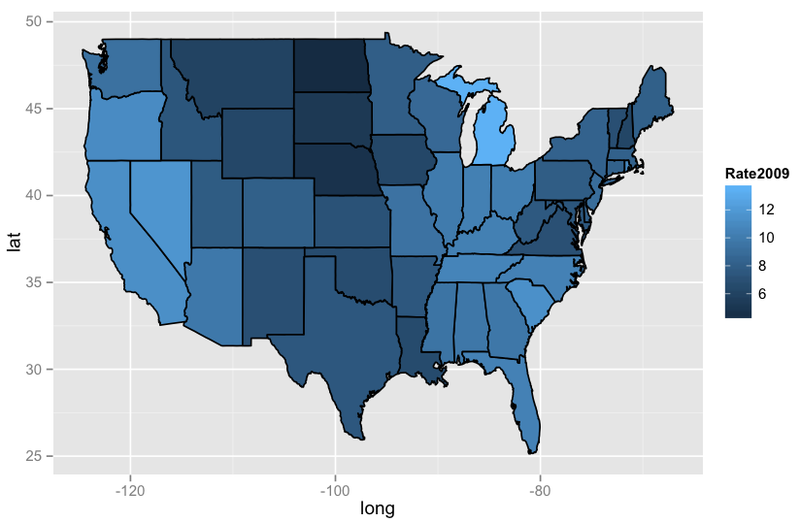 Here we are assuming that our dataset is called "Dataset", it contains a variable called "region" with the names of the states in lowercase letters, and we want to color the states by "Variable1". Hendra, lahir pada tanggal 19 Juni 1973, di Medan, Sumatera Utara. Pada tahun 1992, menyelesaikan pendidikan menengah atas di SMU Mehodist 2 Medan, melanjutkan pendidikan sarjana satu di Fakultas Teknik Universitas Sumatera Utara dengan mengambil bidang studi Teknik Industri dan tamat pada tahun 1998. Pada September 2008, melanjutkan pendidikan pasca sarjana dibidang Teknik Industri pada universitas yang sama dan tamat pada tahun 2010.